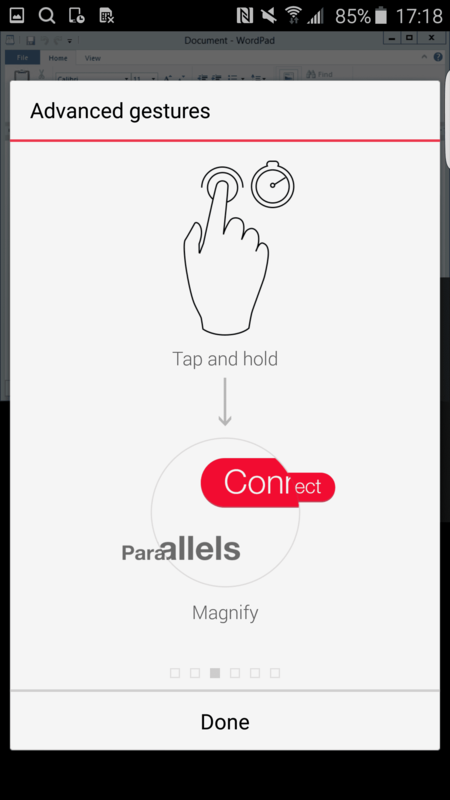 With the new launch of the Parallels® Remote Application Server v15.5, we have revamped the Parallels Client to have a new modern, attractive look and sleek interface. As you can see from the image above, the user interface is now much simpler and easier to navigate, and more natural gestures have also been introduced. 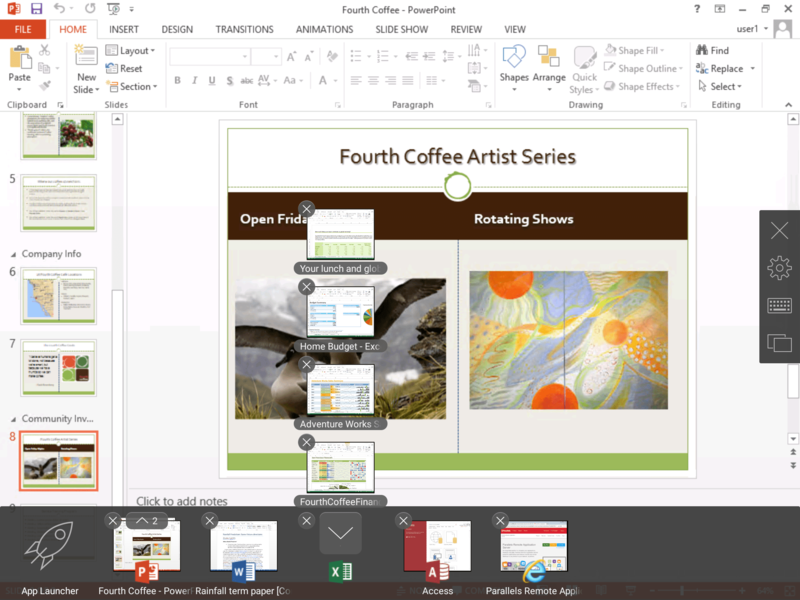 But beyond good looks, the Parallels Client is also very simple to use. This how-to guide explains the step-by-step process of configuring the Parallels Client and gaining access to corporate published applications and desktops. 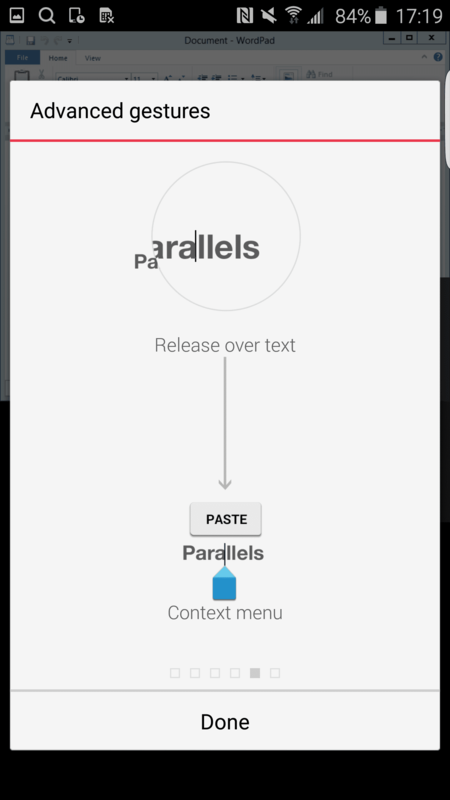 First of all, search for the ‘Parallels Client’ on the Google Play Store. 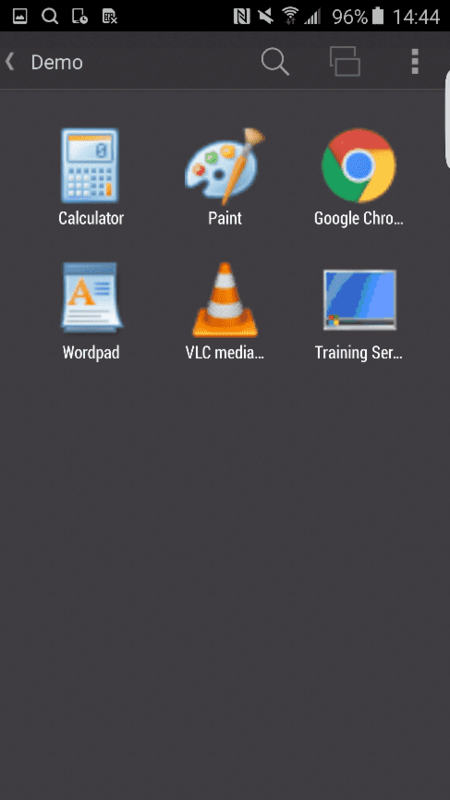 After you have installed the application, tap the Parallels client icon from your app drawer to run the application. 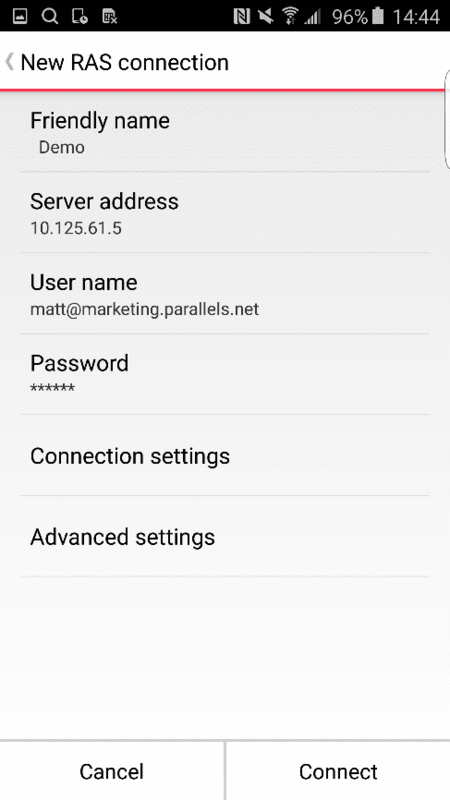 Alternatively, your administrator may send you an all-inclusive email with a link to download the Parallels Client for your respective device as well as a link that will configure the Parallels Client to access your published applications and desktops. 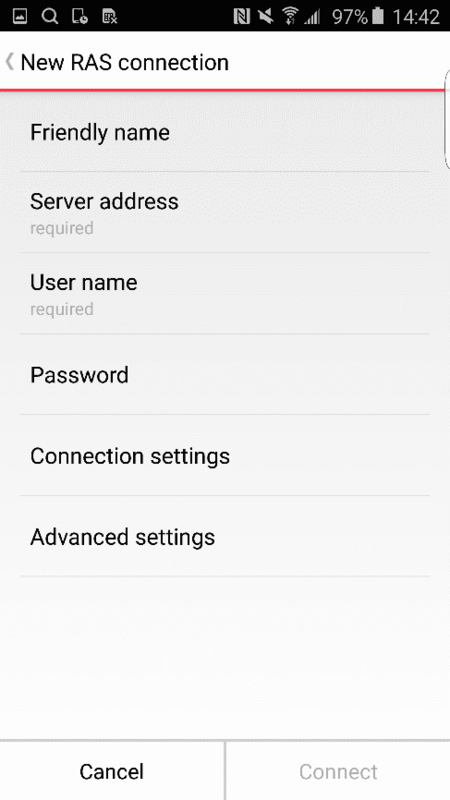 If you prefer to manually add a connection, click on the + as indicated in the above welcome screen. 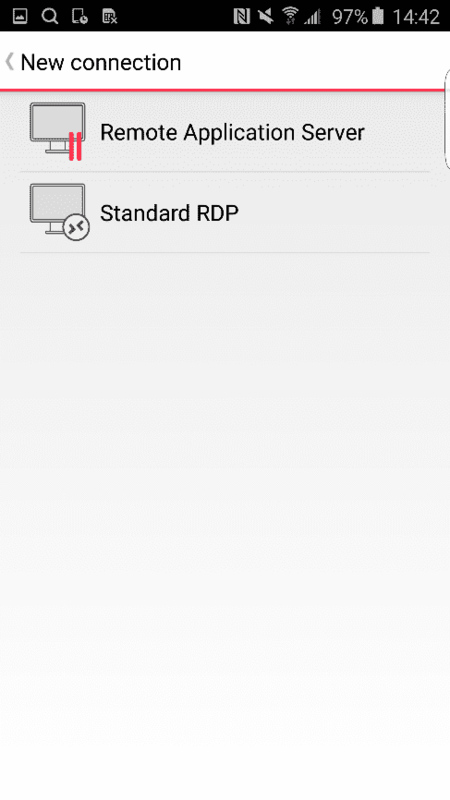 Upon adding a connection, you will be given a choice of two connection modes: Remote Application Server or Standard RDP. 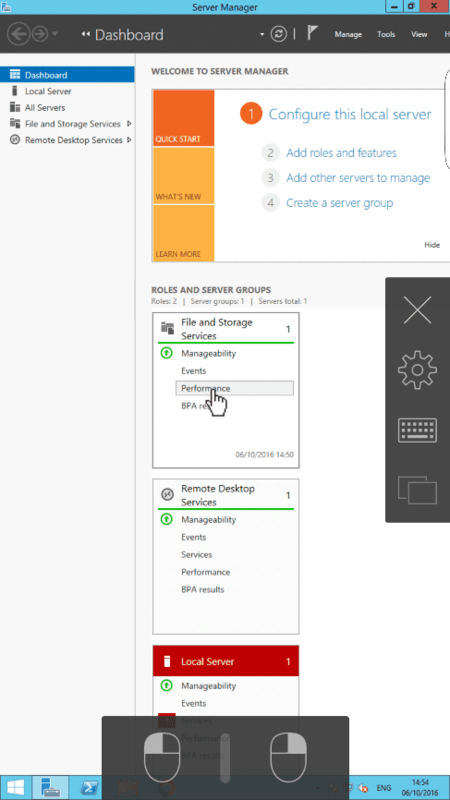 The Remote Application Server option is used to access your published applications and desktops, while Standard RDP is used to connect to another PC in a different location (Remote PC). 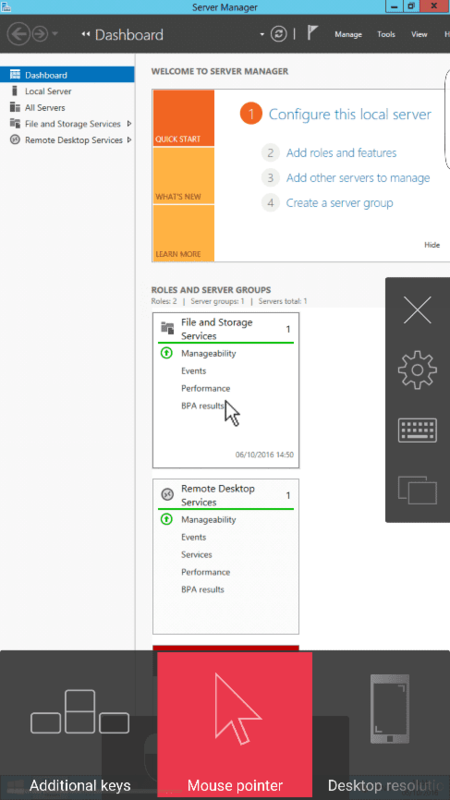 To access your published applications and desktops, select the Remote Application Server option. Enter all the required details shown in the above image. 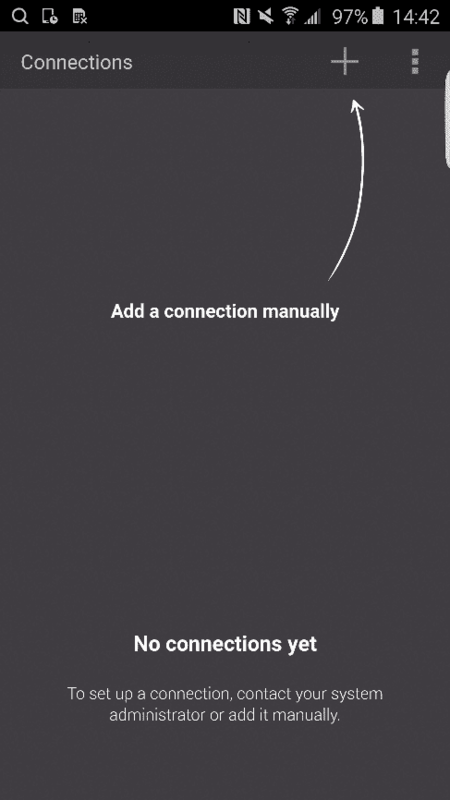 Start by entering the Friendly Name to define the connection. Finally, enter your username and password in the respective fields. Normally, you should be good to go, but your administrator might want you to amend some connection details. 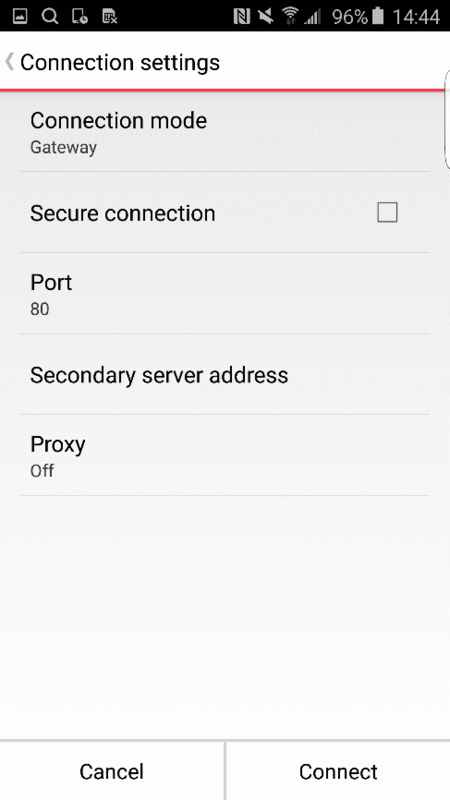 If so, click on the Connection Settings and amend accordingly as instructed by your administrator. 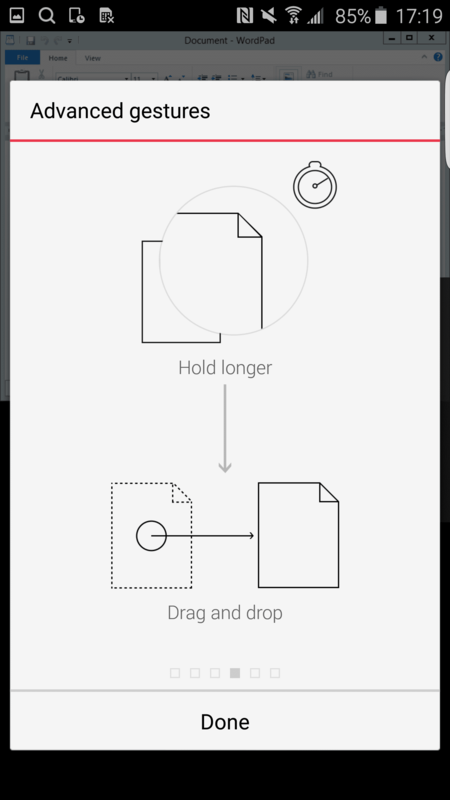 Once you have added all your details, tap Connect to access your published applications and desktops. If all the configurations are done correctly, the Parallels Client will show all the applications and desktops published from the RAS Console that are available for the logged-in user. Use the keyboard by clicking on the keyboard icon on the right-hand sidebar. Alternatively, to remove the keyboard, click again on the same keyboard icon. 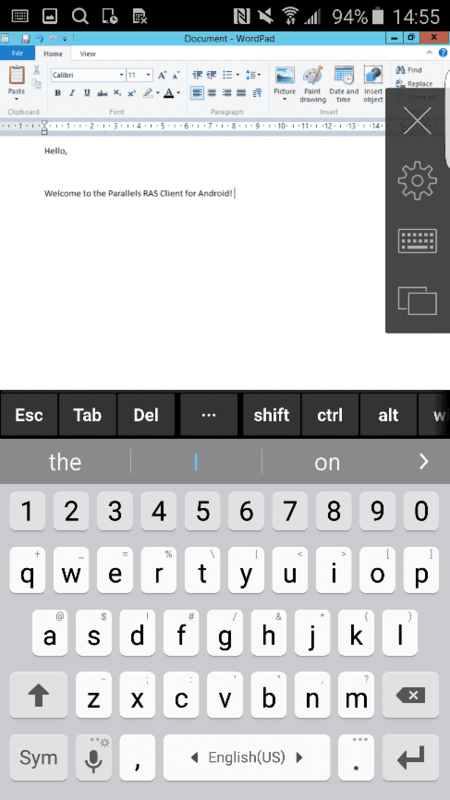 The image above shows a published desktop accessed by an Android™ device using the Parallels Client. 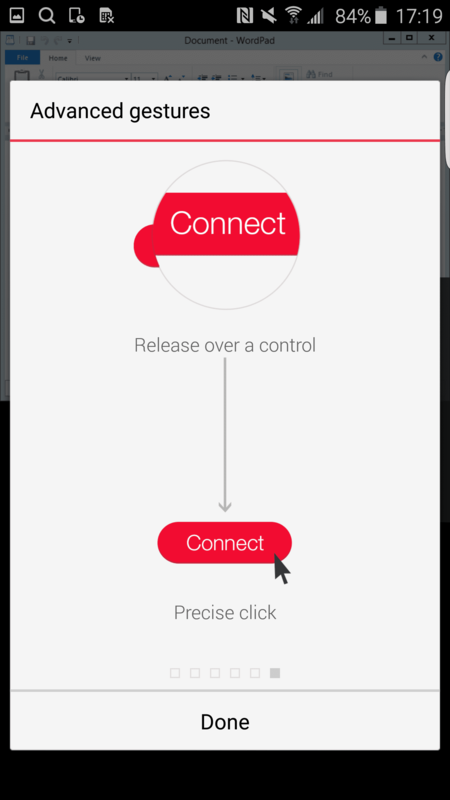 You can easily click anywhere on the screen with a simple press on the device. But if you cannot reach those tough spots, you can always open up the mouse. This can be done by clicking on the settings icon on the right-hand sidebar, and then clicking on the pointer icon. To remove the mouse, repeat the same process. 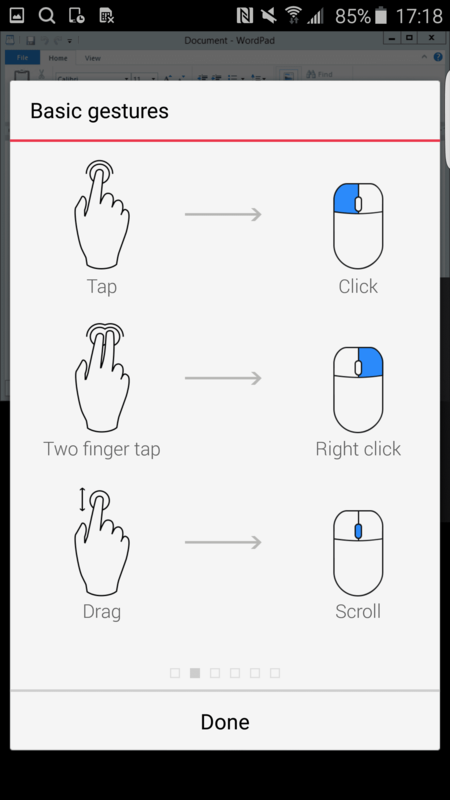 The image below illustrates the natural basic hand gestures that can be used within the application to easily find what you are looking for. Below you will find the more advanced hand gestures that will help you navigate your way through your published applications and desktops.